This year marks the 90th anniversary of the first issue of Statistics. Throughout its years, the magazine reflects various aspects of the development of theory and practice in the field of statistics. In the first book of the 1929 magazine, when his name is "Quarterly magazine of the General Directorate of Statistics", the authentic text of the program article, which defines the vision of its creators, is presented to the attention of readers. The actuality of the writing is not lost even today. Even in the first issue of the journal, the authors point out that the results of the statistical surveys are considered an "inevitable necessary basis" for the development of science and the state. The achievements of statistical theory and practice, widely circulated through the pages of the journal over the years, have put NSI in a prestigious position in the international exchange of information. They have strengthened its role as a state institution with a 138-year history that is needed for government. Future tasks of the "Statistics" magazine are related to the preservation of the academic spirit, bequeathed by its creators. What is the role of official statistical agencies today? What challenges and challenges are there before them? How important are ‘open data’ and how do they contribute to wider access to information? These questions are the essence of this article, which aims to point out different points of view on the issues raised. Various visions of the relatively of the new ‘open data’ concept are presented: in the national strategies for development of the statistical systems, including in the Bulgarian; in surveys of the non-governmental sector. The views of the NSI employees and the government sector are stated. The results of the annual Open Data Watch study for 2017 are of interest not only because of the complex approach in the ‘open data’ monitoring, but also because of the success of the National Statistical Institute of Bulgaria, occupying eighth position among the statistical agencies offering the greatest openness and accessibility of its data. Both in global as well as in regional aspect, people living in different geographic regions face different prices. These price differences can have a serious impact on incomes of individuals and households in which they live. This article discusses the impact of prices on the purchasing power of household incomes. The second part of the article discusses the issue how the price indices built in the first part can be used. The indices are applied at the level of districts (towns / villages) and the impact of prices on poverty in the districts and municipalities of Bulgaria is being analysed. The final objective is to check whether price differences at district level have a direct impact on poverty in the area concerned or in the municipalities that form it. Professor Petko Bozhikov was born on 2 September 1935 in the town of Gotse Delchev. He is one of the most prominent representatives of scientific thought in Bulgarian statistics. The majority of his professional life is connected to statistics as a state institution (now NSI). Since 1976 to his retirement in 1995 Prof. Bojikov left behind a noticeable trace in the statistical theory and practice. His articles and works trace the development of the empirical and statistical surveys in the national statistics of Bulgaria. 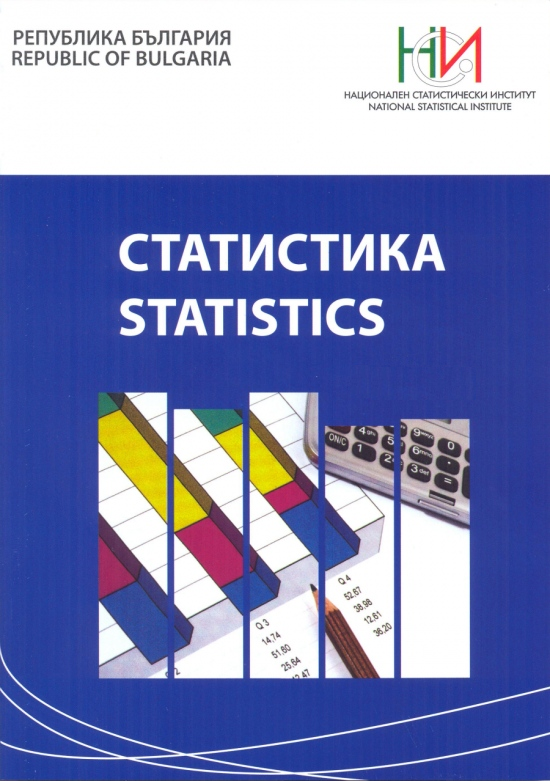 Particularly impressive is the participation of Professor Bozhikov in the population censuses of Bulgarian statistics and the realization of a number of sociological studies. His legacy remains forever in the pages of a number of statistical publications where his name appears as author and member of working groups. The magazine has an important role in the development of statistical thought and statistical practice as well as for the understanding of the economic and social processes in the country. Published articles and materials in the journal are from different areas of life and of high quality and cognitive significance. The attitude of the editors to the authors and readers of the magazine was highly professional and responsible, with the publication of high-quality texts throughout its long years of life. By its very nature, statistics does not allow to be used for political purposes, as theoretically it is the main direction of mathematical science and is based on the impartial recording of facts and events from the socio-economic life of the country. The ‘Statistics’ magazine in the past and today manages to fulfil its assigned tasks and respond to the needs of the time and the demands of the Bulgarian society. Throughout all the years of its existence, numerous articles and materials from outstanding scientists and prominent authors in the field of statistics, as well as from highly qualified experts of the National Statistical Institute with professional skills and experience have been released in the magazine. The published text is only an attempt to turn back in time and reveal the strong and important aspects of the magazine - its authors - visionaries and extremely good analysts, masters of several foreign languages, lecturers not only in Bulgaria but also in other countries with an impressive general culture. One of the most interesting researches in the history of Bulgarian statistics is the period 1927-1928. A poll of the centenarians, the results of which were published for the first time in 1929 in the second issue of the ‘Quarterly Journal of the General Directorate of Statistics’. The poll of centenarians began on March 10, 1927, and ended on November 20, 1928. It took 1202 working days to carry it out, and 18 055 km had been covered. The expenses amounted to BGN 270 739, of which BGN 126 239 were for travel expenses and BGN 144 500 daily expenses. Data gathered as a result of the poll are by: total number of centenarians; the centenarians at the altitudes of the places in which they live, territorial areas, nationality, gender, age, marital status, marriage, fertility, professions and well-being, physical characteristics, physiology, and food and drink they have consumed. The poll of the centenarians in Bulgaria deserves a careful reading of the inquisitive reader. The longevity phenomenon is specific and difficult to study because it requires the application of interdisciplinary methods. But the data from this study can show us not just the momentary picture but teach us that the basis of our knowledge is in the work of the statisticians with their professionalism and good faith. The most important indicators obtained as a result of the calculated PPPs are GDP and the actual individual consumption per capita, which measures household welfare, expressed in purchasing power standards. Actual individual consumption is a derivative indicator that which aims to show what are the differences in actual consumption between individual European countries, covering goods and services actually consumed by the population, whether bought or paid by households, the state or non-commercial institutions and serving households. The aim of the historical reference is to acquaint readers with the creation and development of the only journal of statistical methodology, theory and practice in Bulgaria - the ‘Statistics’ magazine, which in 2019 will turn ninety years old. Traced over time, the rubrics of the journal show the evolution of statistical science, as well as following the established traditions in the field of statistical surveys on national and international scale. The historical significance of the publication, its role and mission as a conductor of statistical scientific thought is pointed out as a tool of statistics that has been proven over time in terms of statistical theory and practice as a means of building up the statistical culture. The magazine is the platform for popularization of statistical knowledge and information, it has influenced generations of scientists, statisticians and economists. Its authors unmistakably felt the pulse of time, and that determined the content of their articles. 294 journal entries were used for the preparation of the review. The full collection of the ‘Statistics’ magazine consists of 29,875 digital pages with free-access to the NSI’s digital library. ‘P. Volov’ № 2 Str., Sofia 1038. • The Regional statistical offices of the NSI.